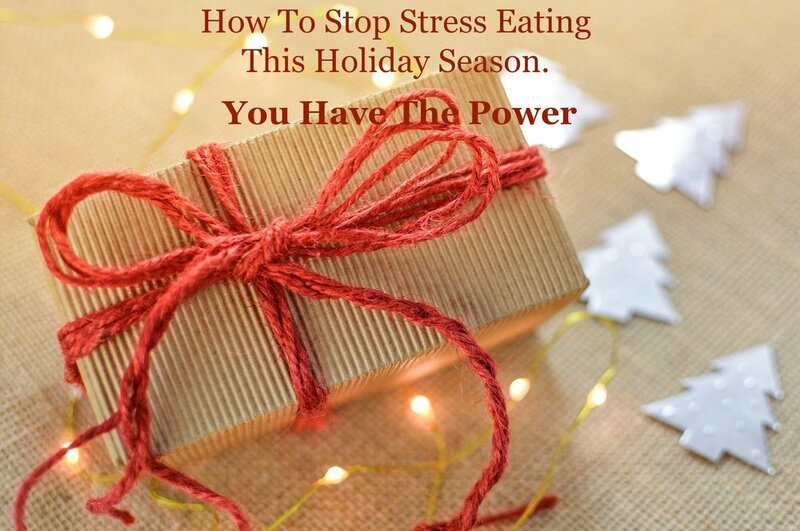 How To Stop Stress Eating This Holiday Season. You Have The Power. The holidays can be a great time of joy for many. But for others, this is a time filled with anxiety and stress. Sometimes, even for those that love the family get-togethers, the stress of holiday shopping, finances, and hosting relatives can tear them apart. When stress hits at this time of year, it’s easy to turn to that tray of Christmas cookies for moral support. After all, cookies won’t criticize you for your life choices the way your family will. But that’s not healthy and you know it. Plus, you’ll feel even less joy when you realize you’ve undone the whole year’s worth of fitness you’ve worked so hard for. If you find the holidays cause you to gobble down more than you should as a way to cope with the stress, I present to you these 5 ways to stop the stress eating before the first tray of cookies is hurried out to the company break room. Meditation is a tool that will help you handle any stress that you have to face. Sitting still, in silence for 5,10,or 20 minutes is the one spiritual practice I never stop. If you commit to meditating just 10 minutes a day, your outlook, reactions, and over all wellness will change for the better. Meditating is stress-reduction superstar. When your boss announces there are no bonus checks this Christmas or your running behind on shopping for your Christmas list, instead of reaching for the holiday goodies, get outside in the fresh air for a walk, hit the gym, take a yoga class, or just do something physical that appeals to you. You’ll release the stress and the exercise will help release the proper chemicals in your brain to make you feel better. The brain needs exercise too. Instead of letting it harp on the negative things that cause you to stress-eat, give it something constructive to do. Take 10 to 20 minutes to yourself to read something you want to read, work on a crossword puzzle, participate on a ballroom dance class or do something else that stimulates your mind in an enjoyable way. It will help you feel refreshed. It’s true the holidays are certainly a time for more indulgent meals. When you focus on healthy eating on a daily basis, prior to the big family dinners, it won’t be such a shock to your waistline. Make sure you’re eating meals as you would normally without skipping them. If you starve yourself all day because you get busy with your job, family and gift shopping, you’re more prone to stuffing yourself at dinner with things that aren’t very healthful. Don’t fall into this eating trap because if you do the only thing you’ll feel is stuffed, bloated and regret. To be honest, I believe eating in moderation can send you into an eating nightmare. During the holiday, eating in moderation can become more ‘frequent eating” with all the holiday events so one must be careful in deciding what to eat. Yes, there are certainly foods we only get to enjoy during this time of year like holiday cookies and cakes. But again, eating all of them isn’t going to do any good. So indulge mindfully and moderately. If you always look forward to your sister’s famous pecan pie, then focus on eating that when the time comes and say no to treats that aren’t as delicious like boxed cookies that you can get any time of the year. No one is perfect so if you find you caved into peer pressure at work and ate holiday treats you promised yourself you wouldn’t, forgive yourself and move on. The next moment is different and you can choose to stop eating the snacks and sip tea instead. Make the next thing you eat healthy and get moving on your exercise. But above all, keep your head up because that is the key to getting through the stress of the holiday season. 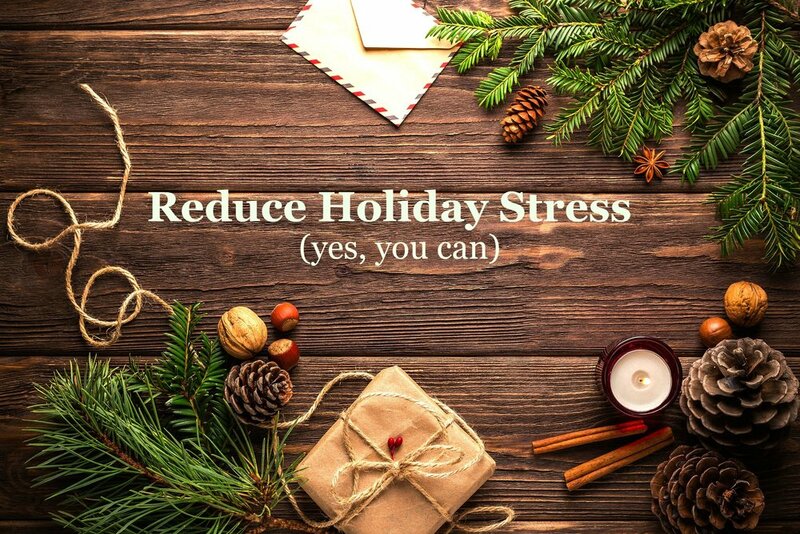 I’ve given you many ways to help you handle the holiday stress but here’s the kicker: You create your own stress. I know, nobody wants to take responsibility for their own stress. It’s much easier to blame on a boss, family member or horrible customer service agent. Stress is not a real tangible thing. It’s your reaction to things. Our reaction can be stressful or calmer. You choose. Let me know how you handle stressful moments by leaving a comment below.